An affidavit is what one presents in the event that he or she wishes to provide information regarding the facts and details of a particular event. 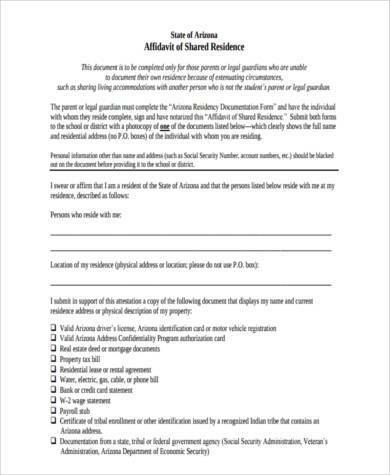 All of this information must be placed in the proper affidavit forms as well as having a notary sign the forms to ensure that it is usable in court. Having an affidavit is very useful as it serves as evidence regarding whatever information it contains and can be used to to assess the truth of certain matters. However, one must remember that he or she can be subjected to perjury should it be found out that the information within the affidavit has been falsified or exaggerated. 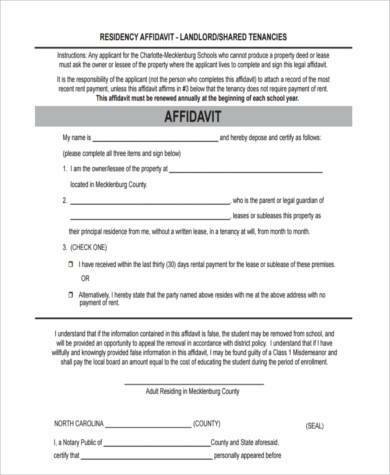 What Is an Affidavit of Residency? An affidavit of residency is exactly what it sounds like. It is an affidavit that contains information regarding where a persons lives. It should contain everything from the persons’s name and complete address (city, block, room number etc.). Basically it is proof of where you are currently residing and it can be used in the events that you are required to show it within the court of law. 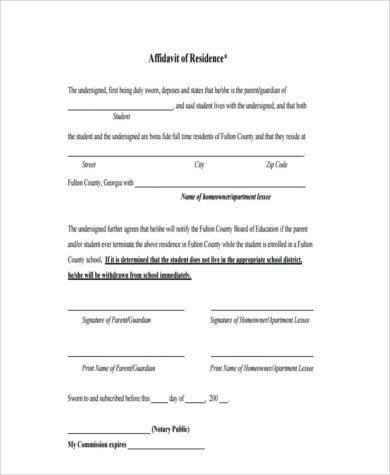 So always make sure to completely fill out your affidavit of residency forms should you be required to prove where you live and who is living with you. 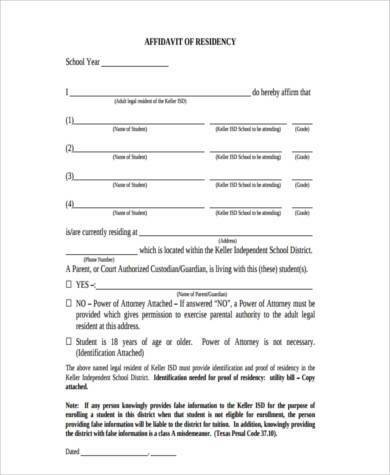 Other affidavits of residency might require you to provide other information such as a affidavit residency for student requires that you place in your I.D number and year level. Just make sure to comply with the proper information to prove where you currently live. 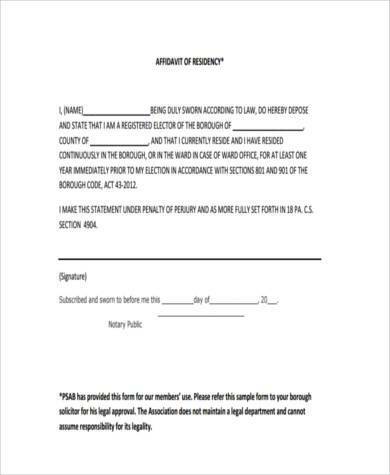 For when you have to prove you your residence in the event that you would like to change your child’s school district. 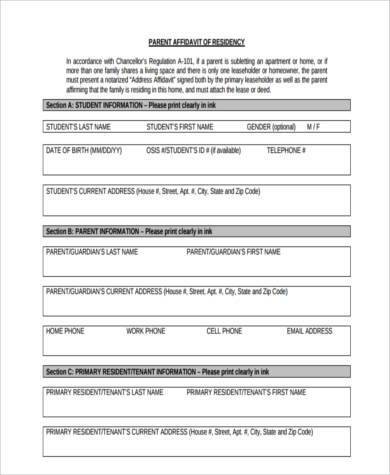 This is always required by schools to ensure that they know where the child lives in the event of certain situations such as delivering important news. For when you need to verify your residency at court or business questioning your residency. There will always be instances or claims regarding where you live and whether or not you actually do have proof that you live in a certain address. So long as you have an affidavit which contains all the details then there should be no problems. 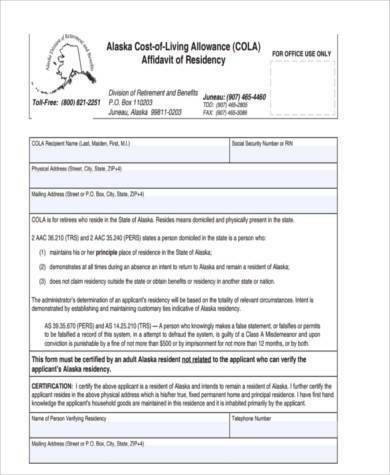 For when you need to verify the death and residency of a family member or any relative so that you will be able to claim funds or even the property of the deceased person.This is to ensure that you claim what is yours and to prove that you are indeed the owner of the property’s title. 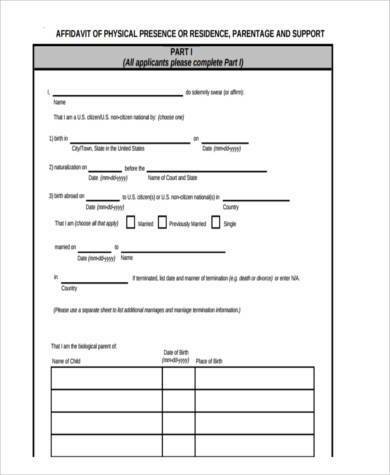 If you would like to know the other types of affidavit forms, such as affidavit of support forms when one wishes to petition a family member to move to his or her country, then be sure to go through our samples available. What Is An Affidavit Form?